Stockholm, the capital of Sweden, is also known as Venice of the north. Stockholm is a beautiful city and has so many things to offer. Museums, nature and a lot of nice Scandinavian design of course. 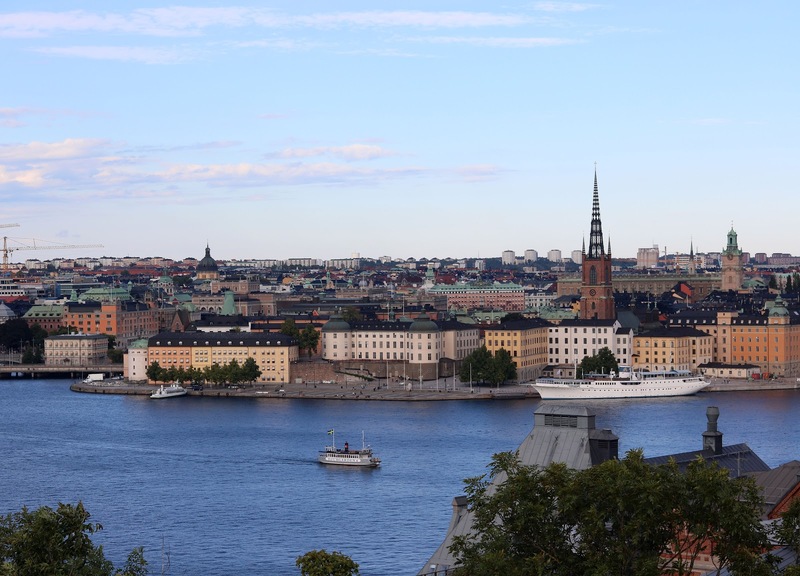 Here are a few things to do in Stockholm. Sofo is a lovely neighborhood on the island Soldermalm. The neighborhood is packed with vintage and thrift shops, which are filled with beautiful Scandinavian brands like Acne and Filippa K. When you’re looking for nice lunch or dinner hotspots in Stockholm, this is also the place to be. There are cute restaurants at every corner and there also are great options for vegans! Stockholm is very great biking since the traffic isn’t that chaotic and almost every street has a bike lane. In contrast to using the underground system, biking allows you to move quickly around the city without missing the lovely street views. 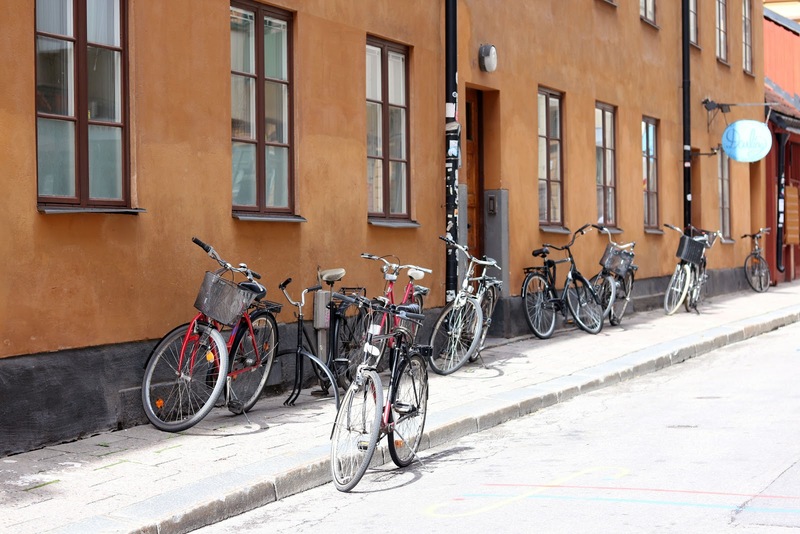 And in addition, renting a bike is also relatively cheap! So make sure to add this to your 'things to do in Stockholm' list. Stockholm has many beautiful museums, but when you’re interested in contemporary art you should definitely visit the Moderna Museet. It has a big collection of work by great contemporary artists like Matisse and Warhol. In addition to their permanent collection, they also have changing exhibitions on display. And the best part; entrance to the permanent collection is free! If you’re looking for a great view of the city, go to Skinnarviksberget. It’s the highest natural point of Stockhom and the view from up there is stunning. You can look over the water and the old town (Gamla Stan) of Stockholm. Pro tip: go in the late afternoon, when the sun is slowly setting and the soft light makes everything even more beautiful! The island Djurgarden is the greenest island of Stockholm. If you want to get away from the city madness for a moment, this is the place to be. Located on this island is the Rosendals Tradgard; a big garden where they grow all kinds of food and flowers. You can have lunch in one of the greenhouses or in the garden itself. But be aware of the cute little birds, they like carrot cake as much as you do! 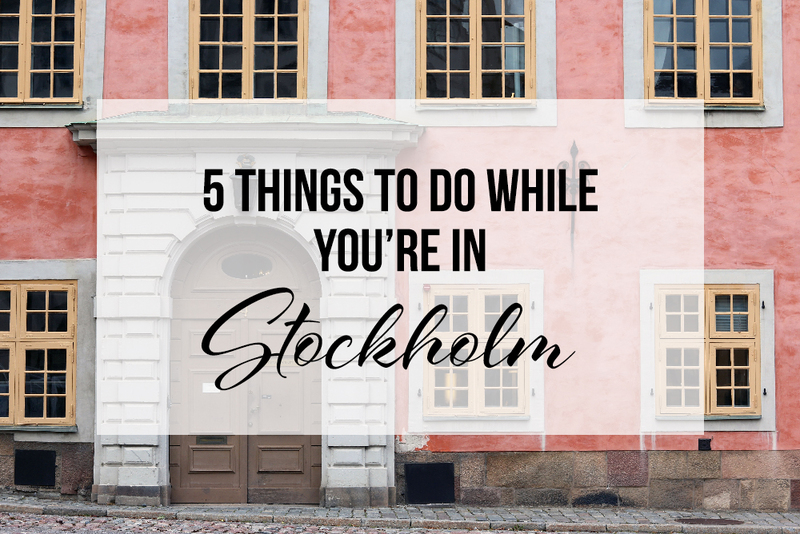 These are just a few of the things to do in Stockholm. But there's much more for sure. So if you have any tips, leave them in a comment! Have you ever been to Stockholm yourself? Or would you like to? I'm interested in reserving this beautiful place. Placing a music show which does not have cultural preferences becomes difficult in a banquet hall environment. It requires planning and decorating imagination. These Los Angeles event venues have the right décor for any event.